The NARS Radiant Creamy Concealer is $29 (for 0.22 oz) from Sephora and Ulta and the Maybelline Fit Me Concealer is around $7 (for 0.23 oz) depending on which drugstore you buy it at. NARS offers 10 shades to choose from including two travel-sized shades ($12 for 0.05 oz) and Maybelline has six different shades. As you can see, both products have very similar packaging with easy-to-use doe foot applicators. 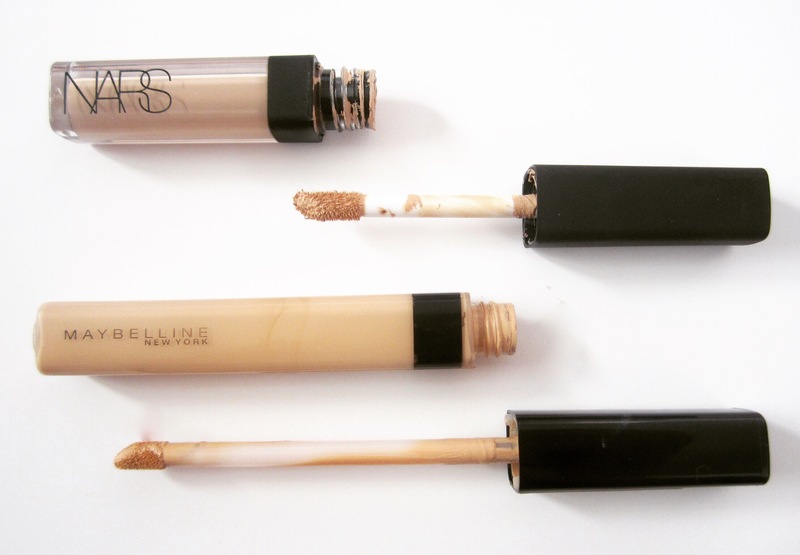 The NARS tube is more luxurious and sturdy, but for me, it doesn’t make that much of a difference. As for the coverage, they are both amazing for covering anything you want covered! I would consider NARS Radiant Creamy Concealer to be a full coverage and Maybelline Fit Me has a medium, but buildable coverage. I primarily use these concealers for simultaneously covering my mild dark circles and also brightening/highlighting my under eye area along with the center of my forehead, my chin, and my cupid’s bow. Because of this, I always get them a few shades lighter than my actual skin tone and foundation. Both of these concealers are ideal for the under eye area, but they also work great on other areas of the face to cover blemishes or redness, as long as you get one in a shade that matches your skin tone. Both concealers are honestly exceptional quality and I would rate them both five out of five stars and I highly recommend them! 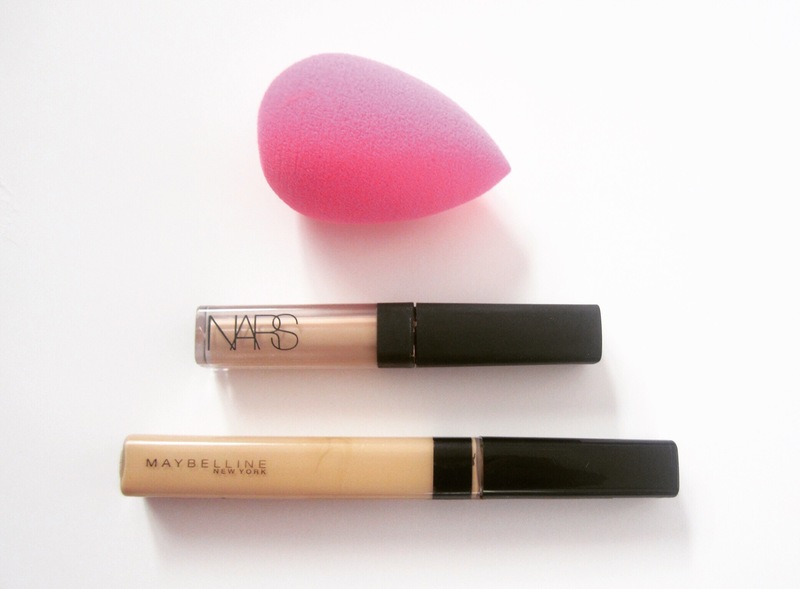 They blend amazing, better than other concealers I’ve used and they both last all day. I apply both of these products after foundation in an upside-down triangle underneath my eyes and then blend it with a damp beauty blender and the results of both of them are beautiful. I always set my concealer and under eye area with pressed powder but because the NARS one is thicker, I find that it creases faster than my Maybelline one. The finish of both of them should definitely be considered if you’re deciding which concealer is right for you because they’re pretty different. 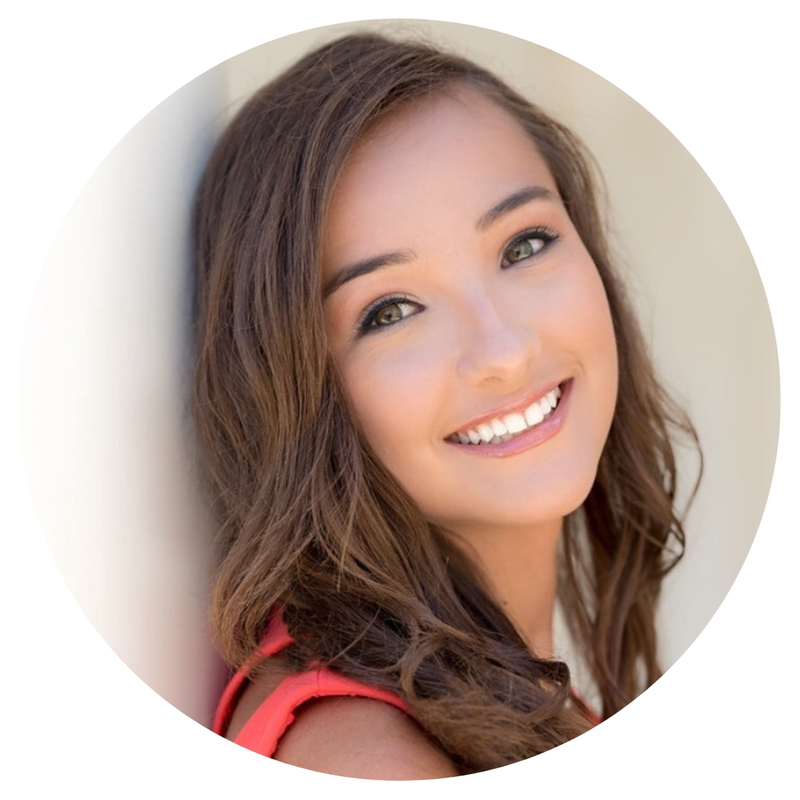 First, I want to mention that I have combination skin, with an extremely dry and sensitive under eye area that is often accentuated with many concealers. When I purchased the NARS Radiant Creamy Concealer, I expected it to be radiant and moisturizing for my skin because of its name, but I was kind of disappointed when I discovered it was actually matte and even drying to my eyes. Maybelline Fit Me, on the other hand, has a more natural finish that I find to be less cakey and more hydrating for my under eyes. It has a slight dewy finish before I set it with powder and that is the main reaon why I love it so much! So, when you’re contemplating between which one is perfect for you, make sure you take into account your skin type and which type of finish and consistency you prefer because that is the main difference between the two products! If you have more oily skin, more visible dark circles, or simply prefer a full coverage concealer, then you’d probably prefer the NARS Radiant Creamy Concealer. However, if you’re like me and have dry skin, moderate under eye circles, and prefer a thinner, medium coverage, then the Maybelline Fit Me Concealer will be the perfect fit for you! 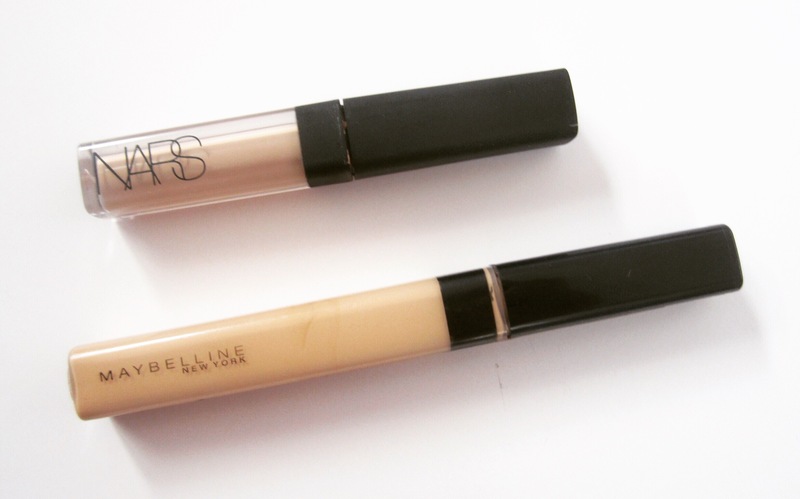 Overall the main difference, aside from the price of course, is that the NARS concealer is more matte and has a thicker consistency with a slightly fuller coverage, while the Maybelline one is more dewy, with a light-weight, medium-buildable coverage. With that being said, they are both extemely similar concealers and are both amazing quality either way! Final verdict? The Maybelline Fit Me is definitely a dupe for the NARS concealer because they are so alike, but it also depends on your preference. Personally, I prefer the Maybelline Fit Me, not only because I save over $20, but mostly because of my specific skin type and needs for a concealer. However, when I apply each one to a different eye, I can’t really see any difference between the two. It really depends on your skin type and what you’re looking for in a concealer, but before you spend the $29 on the NARS concealer, please consider trying the Maybelline one first, because you may end up liking it the same, or even better! Totally agree!! 🙂 i prefer the maybelline as well!